As a grandparent, the past is chock full of memories of my own holidays as a little girl in NYC…Fifth Avenue magic, Rockefeller Center skating and THE TREE! My mother, brother and I shared our home with my grandmother. While my mom worked Nana, took hold of the home front, and created Christmas memories as only a grandmother can. She was a wonderful cook and loved the Christmas season. She brought with her a strong faith so the story of Christmas in our house always included the Christ Child along with a visit from Santa Claus. 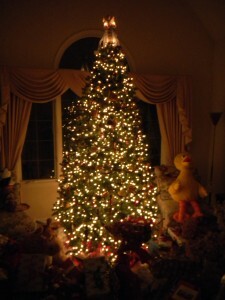 As years went on, Christmas memories were made in my own home and with my own family. I tried to create the same feeling of Christmas the same way my grandmother had so many years before. My mother and uncle usually celebrated with us…they would come from Florida and enjoy brunch at the Ritz in Chicago, since we had all migrated from New York by then. 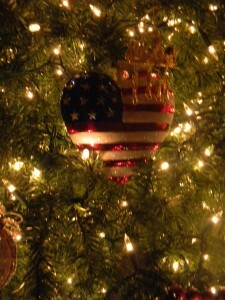 Cookies were baked, the tree was decorated and stockings were hung. We were very fortunate to all be together. Many Christmas Eves, we attended midnight Mass in bitter cold but with warm hearts. My husband and I are now the “older” generation and we happily celebrate Christmas with our family which includes, a grandchild. It is again been joyful as we are making new memories built on the old ones which included great-grandparents our granddaughter will never know. Our tree is in the same place it has been for the past 20+ years…it is decorated with ornaments that each tell a story of where our family has lived and traveled since 1977…New York, Florida, Chicago. 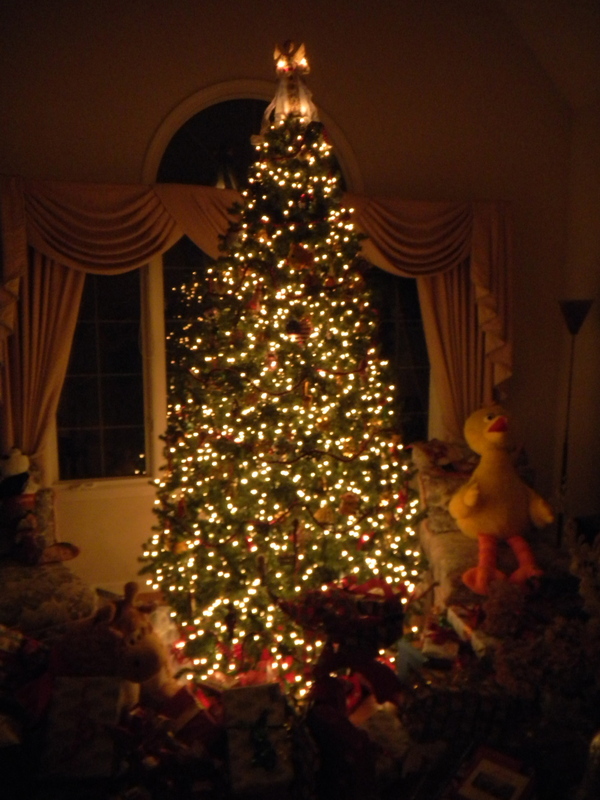 It has 3000 lights, so in some ways it is my Rockefeller Center right here at home! As an old year is coming to an end, I am looking at the future with of course some trepidations which come with age but they are soothed by the loving hugs of my granddaughter and the wonder and amazement that she brings to this house that has seen the footsteps of those who came before her. The Christ Child is still here and Santa will soon ring his bells over our house. There is even a blanket of snow on the ground. This entry was posted in Family, Fun, Grandmas & Grandpas, Holidays, Moms & Dads and tagged Christmas, Christmas 2013, Xmas Future, Xmas Past, Xmas Present by llpitlwp. Bookmark the permalink.